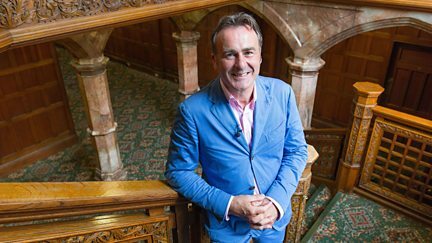 Series 14 ‹ Flog It! Browse content similar to Series 14. Check below for episodes and series from the same categories and more! 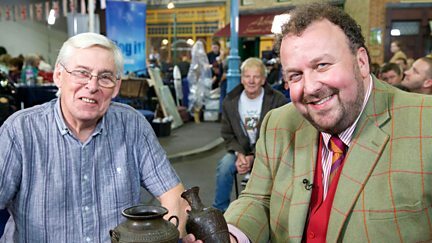 Philip Serrell and Charles Hanson's finds include an old teapot. 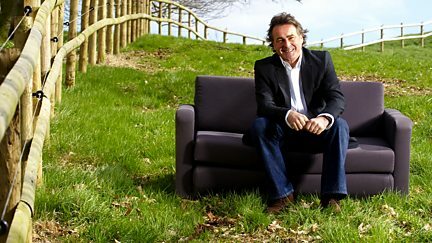 This episode comes from Ragley Hall in Warwickshire, a 17th-century Palladian house. This episode comes from the Milestones Museum in Basingstoke. This episode comes from Norwich Cathedral in Norfolk. 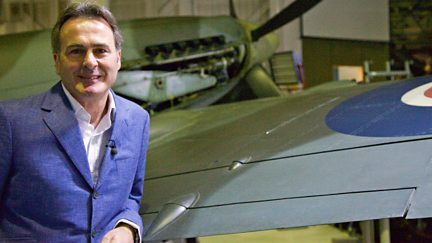 This episode comes from the RAF Museum at Hendon in London. This episode comes from the Bowes Museum at Barnard Castle in County Durham. This episode comes from the National Maritime Museum Cornwall, based in Falmouth. Paul Martin presents from the Milestones Museum in Basingstoke. Paul Martin presents from Ragley Hall, with Will Axon and Christina Trevanion. Paul Martin presents from Norwich cathedral, with Thomas Plant and David Fletcher. Paul Martin is joined by experts Michael Baggott and Anita Manning at the RAF Museum. A collection of some of the best unseen finds. Paul Martin presents from the Bowes Museum, with Elizabeth Talbot and David Harper. Paul Martin presents from Falmouth with Philip Serrell and Caroline Hawley. Paul Martin presents from Norwich Cathedral, with experts Thomas Plant and David Fletcher. Paul Martin presents from Ragley Hall in Warwickshire, with Charlie Ross and Will Axon. Paul Martin presents from Milestones Museum in Basingstoke. Paul Martin presents from the RAF Museum in London. With Anita Manning and Mark Stacey. A look at some previously unseen finds from the show's travels around the country. Paul Martin presents from the Bowes Museum at Barnard Castle in County Durham. This episode comes the National Maritime Museum, Cornwall based in Falmouth. Paul Martin finds out about Tom Fool, the court jester who lived at the castle. This episode comes from the Grand Pier in Weston-super-Mare, Somerset. The best unseen finds from the show's valuations days from around the country. Paul Martin explores the history of one of Britain's premier art schools. Paul Martin discovers more about the seaside pier in Weston-super-Mare. Paul Martin visits Coniston Water in the Lake District. Interesting finds from the show's travels, including the Milestones Museum in Basingstoke. Paul Martin presents from Ragley Hall with Christina Trevanion and Charlie Ross. Paul Martin goes back in time to the good old days of variety theatre. Paul Martin presents from Norwich Cathedral in Norfolk, once home to Benedictine monks. Paul Martin presents from the Grand Pier at Weston-super-Mare in Somerset. Paul Martin presents from Muncaster Castle in Cumbria. A collection of previously unseen finds from the show's travels round the country. Paul Martin presents from Sandon Hall in Staffordshire. Paul Martin presents previously unseen finds from the show's travels round the country. Paul Martin presents from Powderham Castle in Devon. Featuring a collection of previously unseen finds from the show's travels around Britain. Paul Martin presents from Highcliffe Castle in Dorset. A selection of finds ranging from an antique tipstaff to a piece of Bernard Leach pottery. Paul Martin learns about the link between the Margam estate and Port Talbot's steel works. There is a look at several collections, including Isle of Wight glass and Tucks postcards. Experts Claire Rawle and Mark Stacey look at some steam train memorabilia. The experts examine a silver ladle with a surprise in its bowl and a train set. 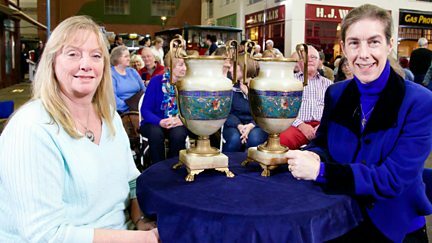 Paul Martin, Mark Stacey and Catherine Southon look for interesting items in south Wales. Items range from a signed photo of Elvis to a stick-back chair. Paul Martin looks at the treasures and lavish interiors at Parham House in West Sussex. A collection of interesting and previously unseen finds. Finds at Highcliffe Castle in Dorset include an untouched World War II ration pack. Items uncovered at Margam Country Park in south Wales include a tea caddy. Antiques expert Mark Stacey uncovers a rare Watcombe clock.